"I love you and miss you nana. Love your Natalea "
"To the White family, So sorry for your loss, My prayers are with you all at this sad time. " "I love you Nanerz so much you were the VERY VERY best Nana ever I love you "
"To Mom, my forever guardian angel. Mom, you mean the world to me and all of us and we are going to miss you so much!! 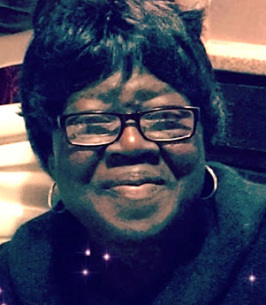 You gave your life..."
Julia E. (Harewood-Ellis) White, 65, a longtime resident of Lowell, died peacefully on January 9, 2019, at Lowell General Hospital, with her loving family by her side. Born in Hernando, Mississippi, December 19, 1953, she was the daughter of the late Reverend Homer V. and Ethney (Harewood) Ellis. She spent her childhood in Cambridge, MA, and was raised in the church family. In the early 60’s, the family relocated to Lowell when her father was appointed Pastor of Bethel A.M.E. Church. Julia graduated from Lowell High School in 1971, and worked at Hanscom Air Force Base for many years. Later, her love of children brought her to a career as a teacher at Community Teamwork Inc. of Lowell. In her spare time, Julia loved to cook, but baking was her specialty, especially her delicious chocolate chip cookies and sweet potato pie. She also loved to knit and make crafts, having gifted many handmade blankets, tissue box covers, and photo albums (just to name a few), to her family and friends. Most of all, she loved spending time with her grandchildren, friends, and family. Julia was always a kind heart to anyone who had the pleasure of meeting her. While we are very sad, she would want us to celebrate her life and know she is happy and free from all earthly pain. 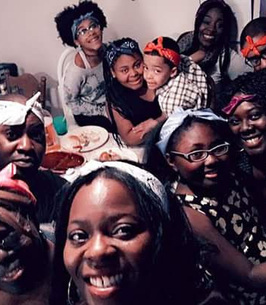 She is survived by four children; Patricia White of Chelmsford, Natasha White of Lowell, Nicole White of Methuen, and Nicholas White of Lowell; five grandchildren, Kyesha White, Janisha Conway, Natalea Mitchell, Christian Gomez, and Julian Lugo, and many extended family members and dear friends. She also was the niece of the late Eileen Harewood and Ernest O. Harewood, and sister of the late Woodrow Ellis. WHITE - In Lowell, January 9, 2019. Julia E. White, of Lowell, aged 65 years. Family and friends will be received at the MORSE-BAYLISS Funeral Home, 122 Princeton Boulevard, Lowell, on Friday, January 18th from 5 to 8 p.m. Her Funeral Service will be held on Saturday, January 19th, at the Bethel A.M.E. Church, 75 Grand Street, Lowell, at 10 a.m. (Kindly meet at Church.) Interment in Westlawn II Cemetery, Lowell. Funeral Director Frederick W. Healy.